Sugarloaf Spring Recap + Save the Dates for Sugarloaf Fall Tour! 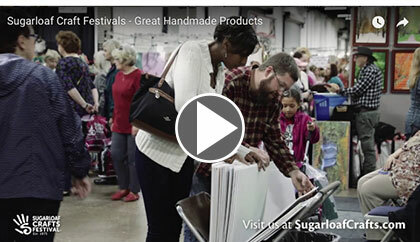 Sugarloaf Craft Festivals' Spring Tour was a success, some of our most fun events ever! More than a thousand artists showcased their talents, we introduced new locations and dates, and our new "Learn to Paint" classes were a hit! Thank you for attending and for your support of our independent artisans. Each sale goes directly to these hard working entrepreneurs and your purchases help these talented people continue to create. We can't wait to see you again this fall! Sugarloaf Crafts' Fall Tour: Save the Dates! Are you an artist, or have some creative friends? 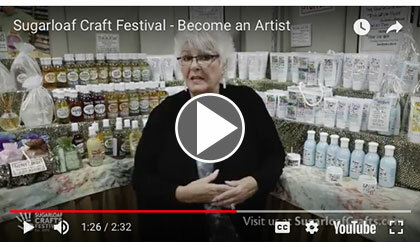 Make a living doing what you love at Sugarloaf Craft Festivals! We're always looking for new exhibitors to participate in our juried events. Learn more about our special community and apply for our Fall Tour today! Artist Focus - Get Inspired! 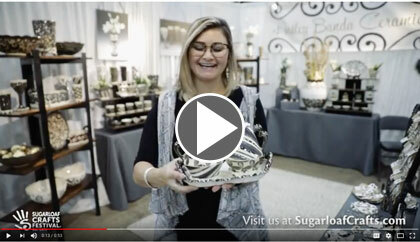 There are so many talented artisans to meet at every Sugarloaf Crafts Festival. Learn more about some of our favorites. Ceramicist Hailey Banda has been coming to Sugarloaf long before she became an exhibitor. Watch to learn more about Hailey and her beautiful work. 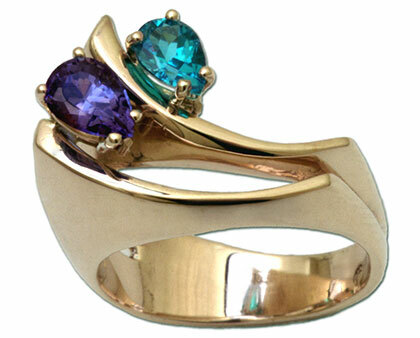 Classic with contemporary flair, Sharon Teaman creates fine jewelry designs using precious metals and stones. Learn more about Sharon and her jewelry that you will love forever. Follow @SugarloafCrafts on Facebook, Instagram and Twitter to keep up on the latest news! Thanks for being a part of Sugarloaf Craft Festivals this spring. We can’t wait to see you again for the best holiday shopping this fall!